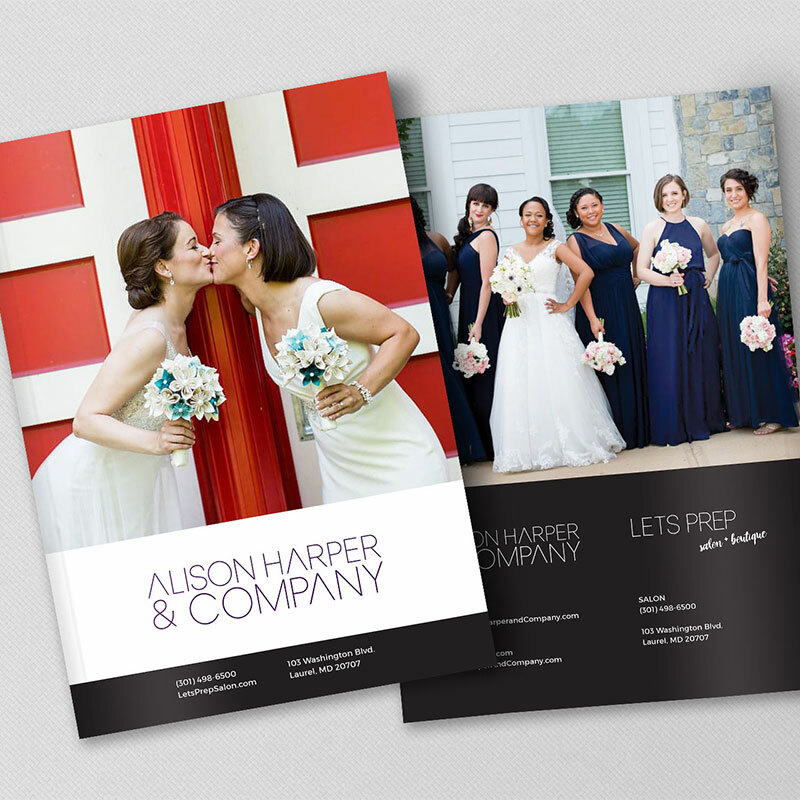 Alison Harper & Company is a well-known industry leader among wedding professionals locally in the Maryland, Virginia, DC area. Incredibly down to earth, Alison’s visual brand didn’t reflect her laid back vibe. 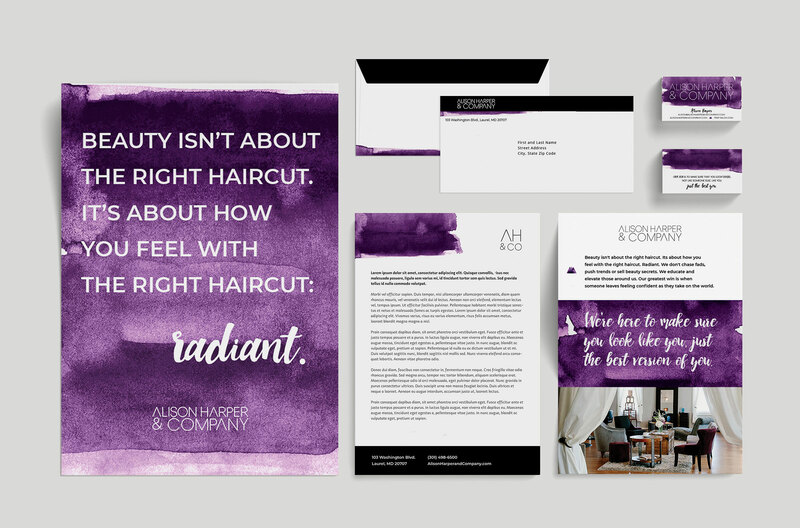 AH&Co needed a brand that would support the business’ core values and communicate her mission to be an advocate for the beauty community, the ultra comfortable environment within the salon and their unique and inclusive definition of beauty. Alison Harper & Company celebrates both the women standing behind the chair and the beauties who sit in it. The visual brand identity needed to extend beyond the logo to include patterns, graphics, imagery and voice. Collaboratively, we crafted brand strategy and creative vision over walks around Lake Elkhorn in Columbia, Maryland. 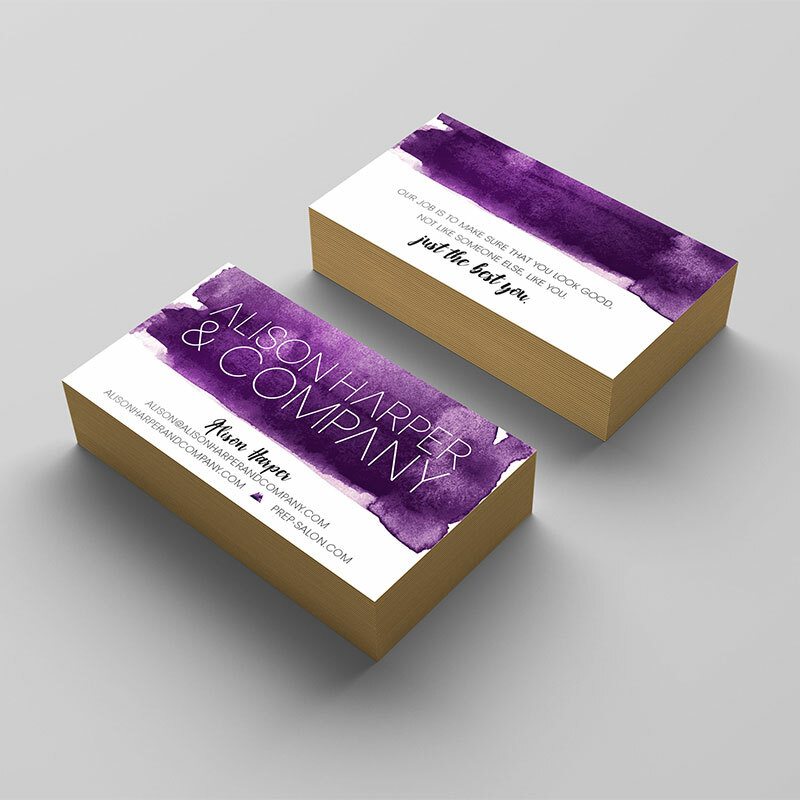 As we redefined the perfect client for weddings and for every occasion, we refreshed the brand identity to appeal to her. 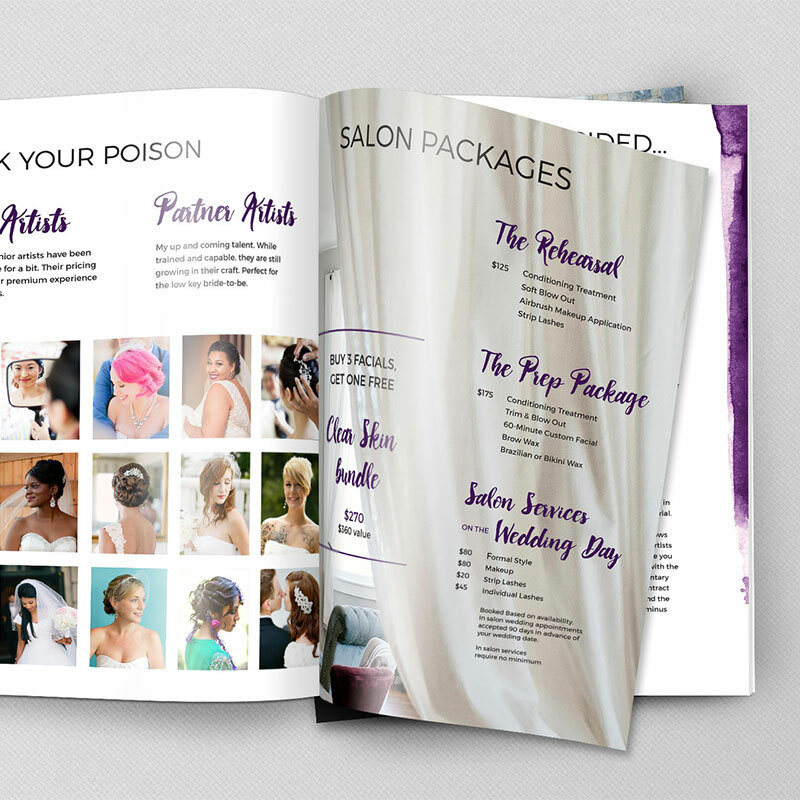 I cleaned up the logos for both the salon and the wedding beauty side of the business for cohesion in addition to stationery and marketing collateral including: business cards, gift cards, a digital welcome kit, thank you notes and a salon service menu.